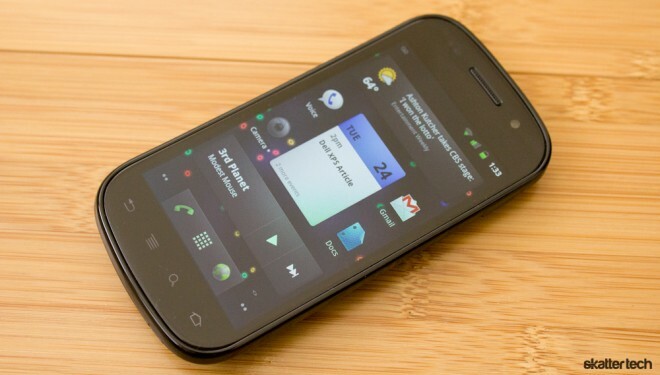 The Nexus S first made a debut late last year and Sprint finally got around to offering a its own iteration last month: the Nexus S 4G. If the name tag did not give it away, the only new addition is support for the faster 4G (WiMax) network. For those not familiar, this is the second handset to carry the Nexus brand name. Google reserves this branding for flagship devices designed under their tight scrutiny to highlight the potential of Android. 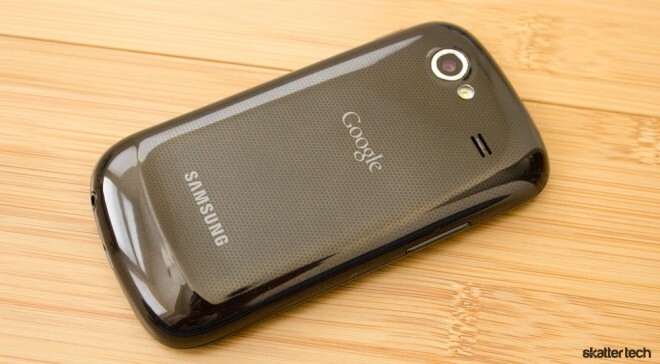 Although HTC built the original Nexus One, Samsung is behind this smart phone. Some may classify the Nexus S 4G as a developer oriented device, but it also runs a pure version of the latest Android operating system for an always up to date experience. In an age of over sized smart phones, many will be glad to get their hands on this device. The Nexus S 4G stands 4.8 inches tall, is 2.4 inches wide, and 0.4 inches thick — it weighs just 4.5 ounces. This gives it an edge over other popular handsets such as the HTC Sensation and the HTC EVO 3D with a slimmer profile and a lighter body. 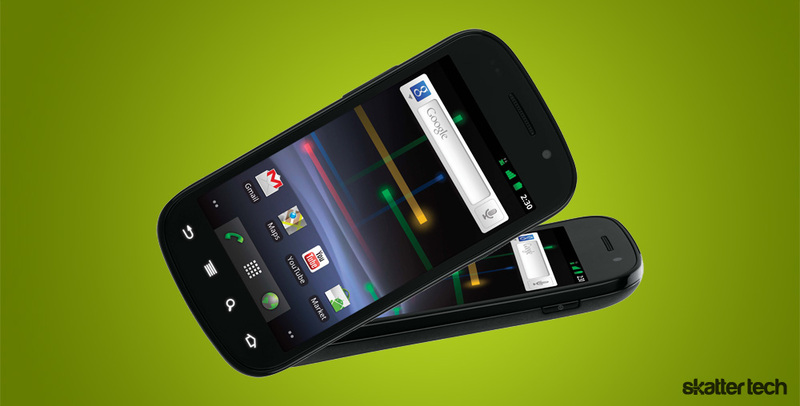 Unlike most smart phones with carrier and manufacturer branding on the front, the Nexus S 4G has a clean slate. In fact, there is no mention of Sprint anywhere on the body. 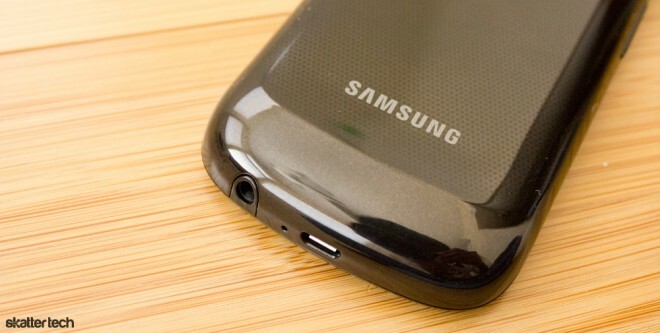 For those wondering, Google and Samsung logos are still present on the back side. The entire device has a glossy black coat, which does unfortunately turns it into a magnet for fingerprints. Be warned that you will find yourself wiping the device clean regularly. With that being said, it is probably the most comfortable device I have held to date. The curvature makes the phone comfortable to hold and it slides away into a pocket easily. One neat touch? The four standard touch sensitive keys on the front for Back, Menu, Search, and Home fade away when not in use. It is nearly impossible to distinguish the outline of the display when turned off since the glass has a mirror-like effect. The only other components on the front include the ear piece, a VGA camera, an ambient light sensor, and a proximity detector. The power button is on the upper right side of the and the volume controls are on the upper left side. The microUSB charging port and the 3.55 mm headphone jack are on the bottom. The positioning of the power button and the headphone jack are out of the norm since both are usually found on top. Prying open the back plate — which is essentially the entire back side of the phone — reveals the battery pack. There is no microSD expansion or micro HDMI output for those wondering. When it comes to horsepower, the Nexus S 4G features a Samsung 1 GHz Cortex A8 Hummingbird processor and 512 GB of RAM. This is a slight let down considering that the latest generation of devices including the Samsung Galaxy S II have taken the jump to dual core processors and twice the RAM. With support for the cloud-powered Google Music, buyers can hopefully deal with the fixed 16 GB of internal storage. Bluetooth 2.1 with EDR comes standard. Other sensors include a g-sensor, gyroscope, and compass. This smart phone also takes a leap with Near Field Communications (NFC) support for technologies such as mobile payments through Google Wallet. Although a higher resolution qHD display would have been nice, the quality of Samsung’s Super AMOLED screen is beyond impressive. Colors are rich and vibrant. Interface elements feel as though they pop out at you. While blacks on most screens are usually dark gray, the Nexus S 4G probably has the deepest representation I have come across. In fact, at times it is difficult to tell whether the display is even on during black loading screens. While the glossy coat is definitely a downside, the anti-fingerprint coating on the front is a huge plus. Smudges do still get in the way, but they wipe off very easily. The 480-by-800 WVGA pixel resolution is not problematic for a 4 inch screen, but a future Nexus device will likely add a lot more pixels per inch. The contour curved display makes the Nexus unimaginably comfortable to use for extended periods of time. I was glad to find that the ambient light sensor managed brightness perfectly too. Reading the screen under direct sunlight is definitely less of a struggle than with normal LCD displays. Diving into Android 2.3.4 Gingerbread on this phone feels quite unusual. It is not because there is anything wrong, but rather because I have spent so much time with customized versions of the operating system. Just about every manufacturer including HTC, LG, Motorola, Samsung, and Sony Ericsson add their own interface overlay for additional features. The vanilla Android operating system actually feels very different after going back to it after several months. If there is one feature I truly appreciate, it would be Sprint’s decision to chose not to bundle any bloatware. Even with over 50 apps from the Android Market, the Nexus S 4G ran smoothly without a hiccup. There are still five home screens and live wallpapers. Users can add shortcuts for apps and widgets for blips of information as always. Google now goes with a darker black default skin over the standard white theme. The slightly cartoon-styled icons are out of the picture in exchange for minimalistic green ones in the notification bar. Reaching the end of a list after a flick generates an orange glow as an indicator. Holding down the home button brings up the eight most recent apps for quick switching. The new default multi-touch enabled keyboard became an instant favorite as it now has a fancier look, impressive responsiveness, word prediction, automatic corrections, and an editable dictionary. Text selection is also easier with cursors for highlighting. Android’s powerful voice-to-text input felt faster than normal too. Accuracy also gets a boost with personalized recognition. For those who have not used voice actions, it lets users perform several hands-free commands including sending a text, listening to music, launching navigation, calling a person, emailing someone, bringing up a webpage, setting an alarm, or searching the web. While the Nexus S 4G is not ideally a multimedia oriented device, it oddly became perfectly suited for just this purpose. It all starts with Google Music providing access to 20,000 songs on the cloud. Google Movies for purchases and rentals is on its way too. Hulu and Netflix, which are only available to a limited selection of Android devices, are both compatible with this smart phone. To top it off, Samsung even includes a pair of branded headphones with a built-in microphone and a multifunction button in the packaging. A set of stereo speakers would have been nice, but a single mono speaker will have to do. The audio quality is not too spectacular. In fact, I have heard better sound from HTC handsets with virtual SRS WOW Surround. As with any Android smart phone, syncing multimedia is easy. The phone appears as a mass storage device on Windows 7 without any additional drivers or software. There are even pre-created folders for types of media such as audio, images, and video. The operating system automatically recognizes and displays all compatible file types once unplugged. Those looking to read eBooks have access to a large selection from Amazon Kindle, Barnes & Noble Nook, or Google Books. The native camera interface is a huge let down and it makes complete sense why manufacturers opt to replace this app with their own custom solution. There are many flaws in addition to just looking plain ugly. Snapping images takes longer than it should. Access to quick settings are available right on the view finder, but the organization is far from intuitive. In addition, I found that most of these settings are reset each time you open the camera app. The image quality is mediocre and could look better in my opinion. While not by any means horrible, it is easy to categorize snapped photos as a “camera phone” image. Samsung should have gone with an 8 megapixel sensor over the 5 megapixel one too. Buyers should not have to settle for washed out, faded, or grainy photos. The single LED flash at least helps in low light conditions. I was also slightly shocked to realize that the Nexus S 4G lacks HD video capture offering only DVD quality. I doubt that it is a hardware limitation considering that the Apple iPhone 4 is fully capable with a similar 5 megapixel sensor. Hopefully a future firmware update can resolve the issue. 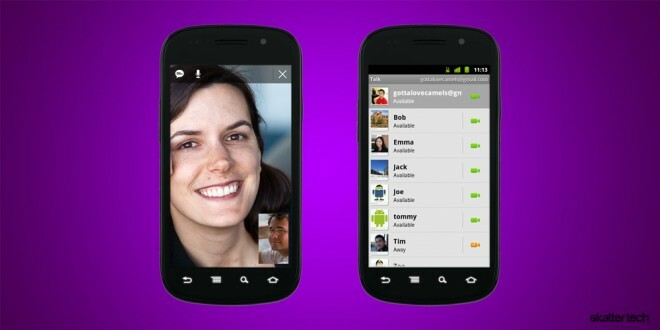 Nexus S 4G owners finally have an out of the box video chat experience — without having to rely on third parties — after updating to the latest version of Google Talk. Of course, there is voice-only chat too. Sprint allows video calls over 3G and 4G networks in addition to WiFi which offers plenty of freedom. The app takes advantage of the VGA camera on the front which looks fairly good, but do not forget that many smart phones already have better 1.3 megapixel cameras. I had a chance to test this feature with the Android 3.1 Honeycomb powered Motorola Xoom and Samsung Galaxy Tab 10.1. The experience was smooth without any interruptions or glitches. While there are only a handful of smart phones that support this feature, keep in mind that Google Talk with video works on just about any computer with a web cam through Gmail in most web browsers. 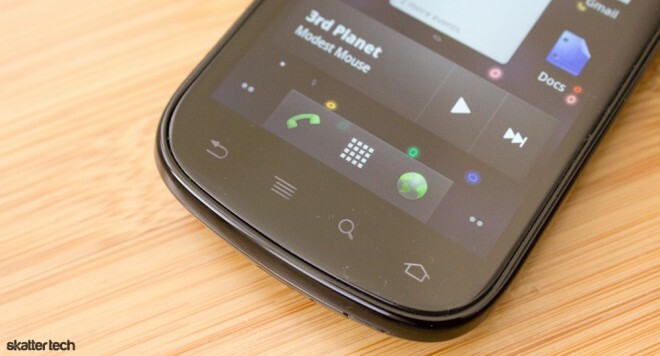 Although the Nexus S 4G lacks hardware noise cancellation, the outgoing audio quality was actually very clear to listeners. Listening to callers on the other end was impressive as well with a crystal clear and surprisingly loud speakerphone. While the same speaker did not meet my expectations for music, it works perfectly for phone calls. Bluetooth headsets work seamlessly too. 4G signal strength was actually stronger on the Nexus S 4G than with other Sprint devices such as the Samsung Epic 4G in the same location. I also noticed that this phone switches between 3G and 4G quicker than older devices. Of course, there is still WiFi 802.11 b/g/n too. This phone also comes with deep Google Voice integration. Subscribers can take advantage of visual voicemail and automatic transcriptions without having to port numbers. Yes, that means not having to deal with two phone numbers. All the standard features including forwarding calls to other devices, setting up custom greetings, blocking unwanted numbers, enabling call screening, and configuring quite hours are fully supported. With 4G enabled, I powered up the hotspot to find the feature not functioning. After some searching, I found that the hotspot only works on 3G networks — a horrible decision. I powered down 4G and the feature began working just fine. While 3G speeds might be enough for a device or two, having 4G is ideal for the advertised six users. In addition, Sprint limits monthly bandwidth to just 5 GB on 3G while leaving 4G usage entirely unrestricted. I would definitely recommend against paying an additional $29 each month when you can not take advantage of the 7 Mbps download and 1.5 Mbps upload speeds of 4G. I am just hoping that this is not a hardware limitation so a software update can solve the issue down the road. The Mobile Hotspot interface at least allows configuring WPA2 security, a SSID network name, and limiting the maximum number of simultaneously connected users. Removing the rear back plate reveals a replaceable 1500 mAh battery pack. The phone comes with a USB cable which plugs into either a computer or the provided AC wall adapter. Android 2.3 Gingerbread even includes a detailed usage meter with statistics for the apps and components draining the most power. This makes it easy kill rogue apps or choose more energy-efficient settings. While there is nothing extraordinary about the capacity, this phone actually lasts longer than other Android devices with a more powerful batteries leading me to believe it has a lot to do with the inefficiencies of custom interfaces. 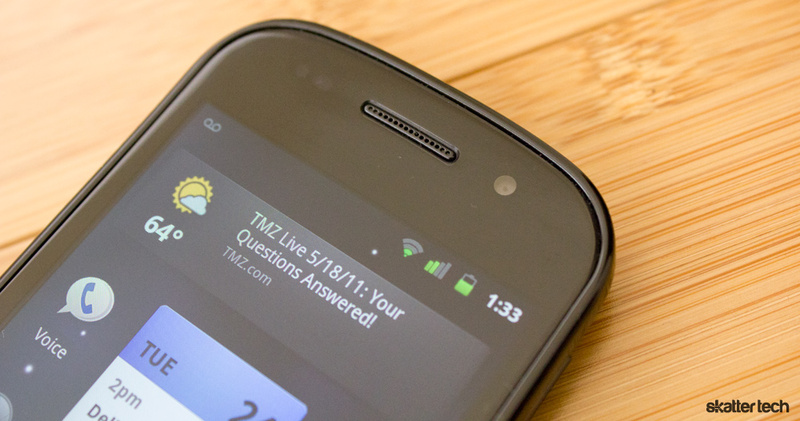 Even with 4G and Bluetooth enabled, the Nexus S 4G will out last the HTC EVO 4G which has the same operating system and processor. I would have to say that this phone can make it through a full day even with some decent usage unlike most other Android smart phones which often need a power boost half way through. Keep in mind that power-hungry activities such as Google Navigation, the Mobile Hotspot, or Video Calls will likely reduce the battery life to just a few hours. Browsing the web, listening to music, checking emails, sending texts, and other tasks are no challenge. The claimed 6 hours of talk time is quite reasonable, but the 17 day standby time is a far-fetched reality even if you turn off most features. While Google touts the Samsung Nexus S 4G, this smart phone is hard to recommend with better options available. Although having the latest version of Android as it becomes available is a key feature, there are plenty of limitations for average consumers. The cameras could be better, it should have microSD expansion, and the mobile hotspot needs to work on 4G networks. Sprint offers this device for $149 after agreeing to a new two-year contract — monthly fees for an individual plan starts at $79. Paying just $50 more gets you the HTC EVO 3D which has way more bang for the buck at the same monthly rates. Keep in mind that this phone still has plenty to offer and those still interested can pick one up anytime in Sprint stores or online.